The decision to recognise the unique identity of the Cornish now affords them the same status under the European Framework Convention for the Protection of National Minorities as the UK’s other Celtic people, the Scots, the Welsh and the Irish. Five years later and no such status for the Cornish has been afforded. 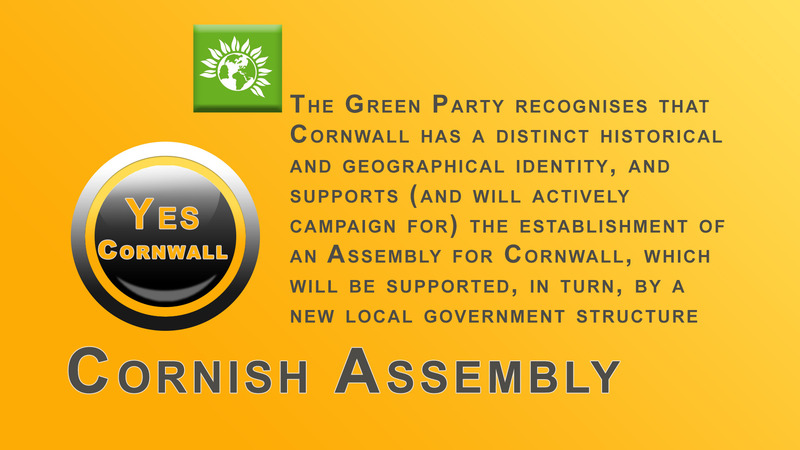 The Cornish, and Cornwall itself remains under an assimilating English administration. Rugby for instance, one of the main sports in Cornwall, has clubs that fall under the governing body of the English RFU, not a Cornish RFU. Cornwall plays rugby at county level against Devon along with the other English counties. Waving and flying the Cornish flag of St Piran; the singing of ‘Trelawny’ doesn’t change Cornwall’s position as that of being subservient under the English flag of St George and we are deluding ourselves if we think otherwise. If Cornish players, and the Cornish in general, are in any way aggrieved at the current situation, it’s not evident. The pride demonstrated among those Cornish players selected to play for England, and their joy when England wins, shows Cornish ethnicity seemingly counts for very little, except perhaps to wave St Piran flags after victory. Supporters too are thrilled when fellow Cornishmen are selected to play for England. Cornwall’s local news papers, Radio Cornwall and online social media, delight in highlighting those Cornish players that are playing, or have previously played, for England. 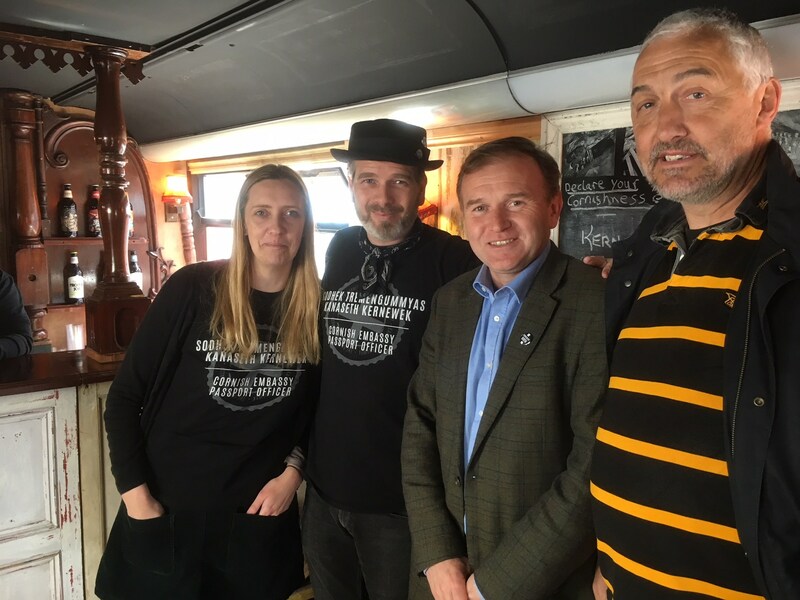 With Cornwall’s top rugby club ‘Cornish Pirates’ aspiring to play in the English premiership, Cornwall’s MPs, Cornwall Council and local rugby clubs choosing to remain subservient to England, there is no demand for change now, or anytime in the near future. We are proud to be Cornish, but only on England’s terms. The famous Cornish inventor Richard Trevithick (he was not English, as described by some) took his high-pressure steam engines to the silver mines of Peru. 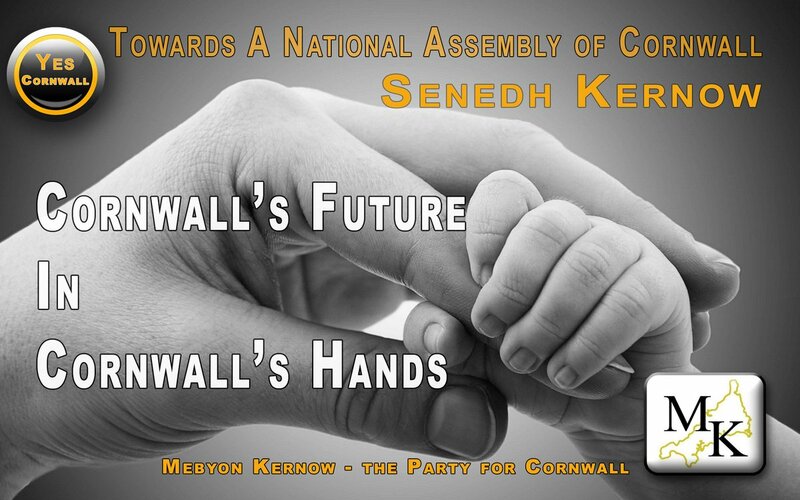 Large Cornish communties gathered all over the world. The hard rock tin miners were established as far afield as Austrailia; South Africa; Mexico etc; and it’s estimated that 60% of Cornish people formed the population of Grass Valley in California! And of course Cornish surnames can be found around the UK not least in the mining district of Yorkshire. 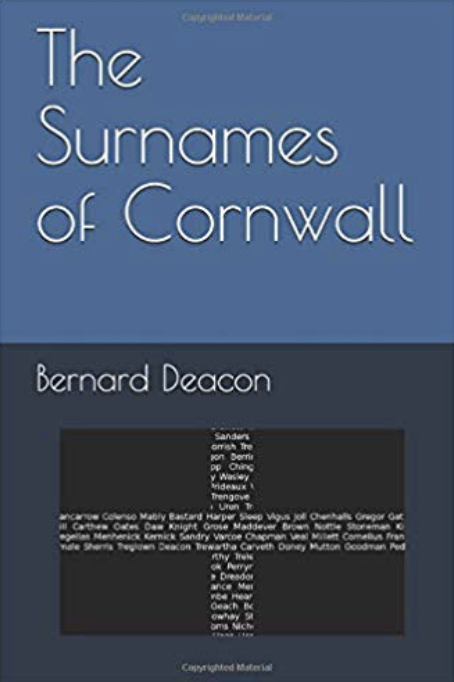 This book is a must for Cornish people and the Cornish diaspora all over the world, and could prove invaluable to those researching their Cornish family tree. In his book ‘The Pigeon Tunnel’ John le Carré includes a preface that describes him being taken by his father to Monte Carlo on a gambling spree. Near an old casino was a sporting club that had a length of lawn which included a shooting range that looked out to sea. Under the lawn ran small parallel tunnels leading to the sea in which live pigeons are inserted that had been hatched and trapped on the casino roof. Their task was to flutter their way along the dark tunnel and appear in the sky as targets for gentlemen waiting to shoot them down. Those pigeons that were missed or wounded do what pigeons do and returned to their birth on the casino roof where those same traps awaited them. It serves to provide an analogy of the Cornish electorate at the ballot box. They vote for the Westminster parties only to be shot down by those same parties that continually fails them. They do what the Cornish do and return to the ballot box, election after election, and do exactly the same thing only to be failed again. Oggy! Oggy! Oggy! means Pasty! Pasty! Pasty! Oggy! Oggy! Oggy! the well-known Cornish chant that is the abbreviation of the Cornish language word ‘Hogen’ the the Cornish word for ‘pasty’ and the later version of an Old Cornish word ‘Whyogen’. 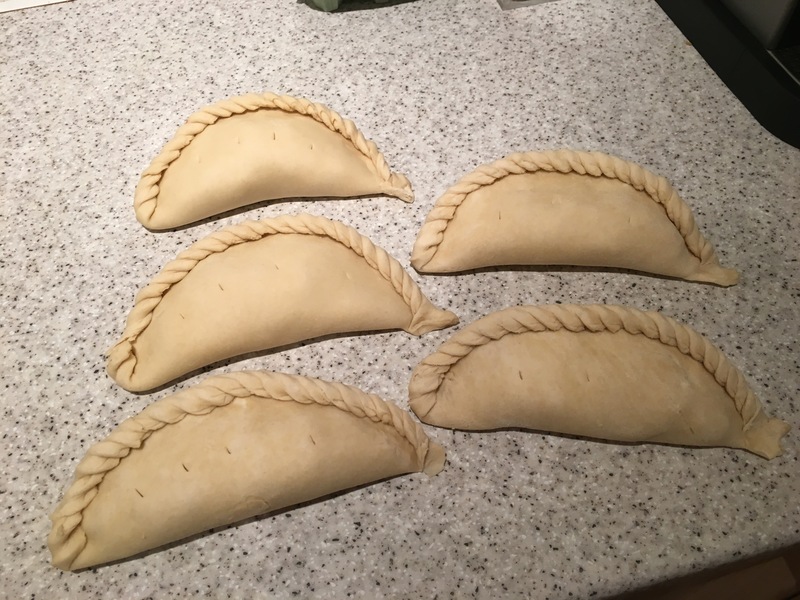 Over the centuries the pasty developed to what has now become the traditional recipe that is recognised under Protected Geographical Indications (PGI) and Protected Designations of Origin. They were usually eaten at crib or croust time and were especially handy for Cornish tin miners. The vegetables should be cooked from raw within the pastry and crimped off-centre. It’s not a pre-cooked stew spread over pastry as one ‘celebrity’ chef did and then claimed it to be a traditional ‘Cornish’ pasty. Some people use leeks, or carrots (yes, carrots) and ‘crimp’ the pasty near to the bottom, or across the top. This is fine, but that’s just a ‘pasty’ and doesn’t adhere to the traditional Cornish pasty recipe, therefore it’s not a traditional Cornish pasty. *The English refer to this vegetable as ‘swede’.